Perfect for wooden and concrete subfloors and with the lowest price online! 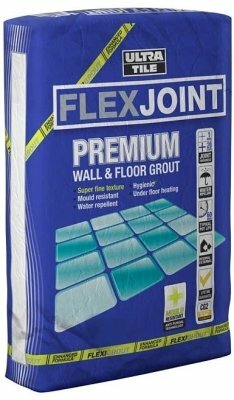 Ultra Tile adhesives FlexJoint is Specially designed for areas where movement or vibration is likely to cause problems with grout or tiles cracking and is perfect for underfloor heating where the constant heating and cooling and expansion and contraction can cause similar problems. Flexible grout for underfloor heating will solve all these problems and provide you with a high quality low cost solution that looks fantastic. Available in Grey, White and Limestone. 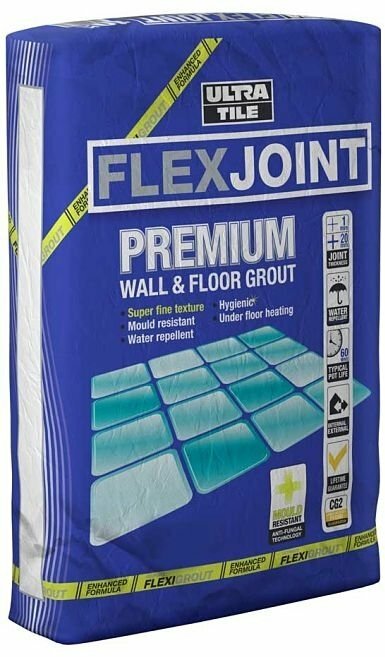 For a standard size tile of width 400mm and length 300mm with a joint width of 6mm and a joint depth of 5mm - 1 * 3kg bag will cover approx 10m2 of tiling. For detailed coverage details please visit Ultra Tile Adhesive site and their handy coverage table.